Leave worries behind as you explore old Buddhist temples and regain your "zen"
The trip was hassle free and nice. The bus is so comfortable & punctual! The tour guide, Seo was being attentive to every query. He speaks English well. Seo did some introduction about the mountain & the temple. The tour is worth every penny! 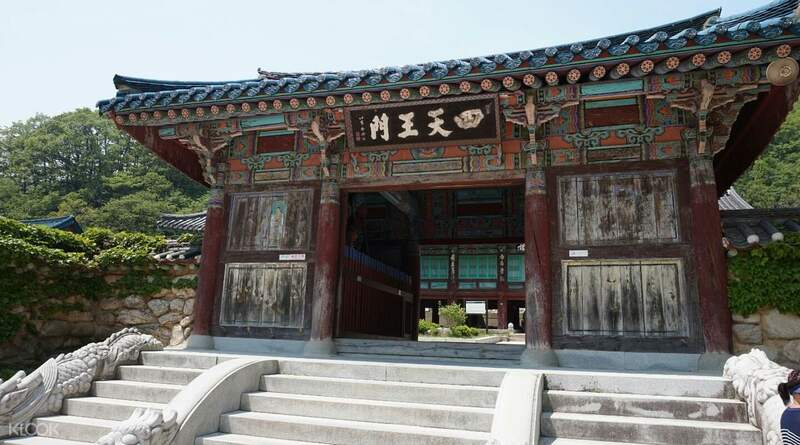 Free yourself of the hassle of public transportation and travel to Mount Seorak and Naksansa Temple with a convenient shuttle bus transfer and all entrance tickets included! 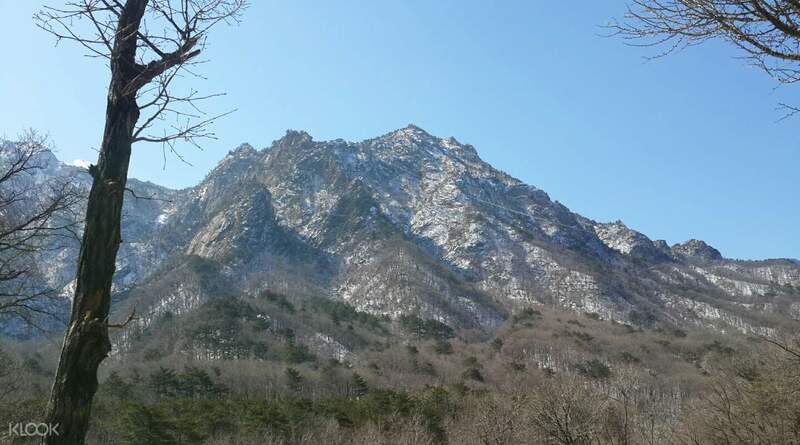 Located in a national park near the city of Sokcho, Seorak Mountain boasts breathtaking natural scenery. It's also the highest mountain in the Taebaek mountain range offering stunning views of the valleys below. After the mountain, you get to head out to Naksansa Temple housing the impressive Bodhisattva statue. The temple offers an incredible insight into the life of Korean Buddhists and stunning views of the tranquil lotus pond. The trip was hassle free and nice. The bus is so comfortable & punctual! The tour guide, Seo was being attentive to every query. He speaks English well. Seo did some introduction about the mountain & the temple. The tour is worth every penny! The trip was hassle free and nice. The bus is so comfortable & punctual! The tour guide, Seo was being attentive to every query. He speaks English well. Seo did some introduction about the mountain & the temple. The tour is worth every penny! Seoraksan is almost 2 hour away from Seoul so joining a tour is the one of the best options. You should not miss this place specially during fall. You get to enjoy the beauti-fall foliage! The tour guide, Sunny is also accommodating and kind. 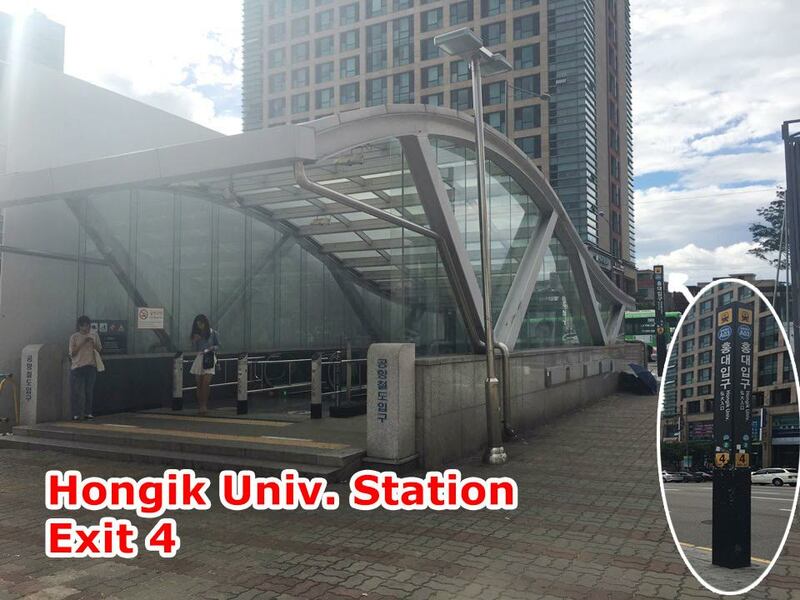 She gave us tips not only for our Seoraksan and Naksansa, but also for our Seoul trip. Seoraksan is almost 2 hour away from Seoul so joining a tour is the one of the best options. You should not miss this place specially during fall. You get to enjoy the beauti-fall foliage! The tour guide, Sunny is also accommodating and kind. She gave us tips not only for our Seoraksan and Naksansa, but also for our Seoul trip. It was a good thing that we booked this tour which made it easier for us. No hassle with the travel and transpo, you just have to relax and enjoy the trip. We did not encounter any issue during the tour. The Tour Guide was so helpful and accomodating. Even the bus driver is friendly. My family really enjoyed the tour and we will highly recommend this one. It was a good thing that we booked this tour which made it easier for us. No hassle with the travel and transpo, you just have to relax and enjoy the trip. We did not encounter any issue during the tour. The Tour Guide was so helpful and accomodating. Even the bus driver is friendly. My family really enjoyed the tour and we will highly recommend this one. Great fulfilling day trip with our tour guide, Jones! 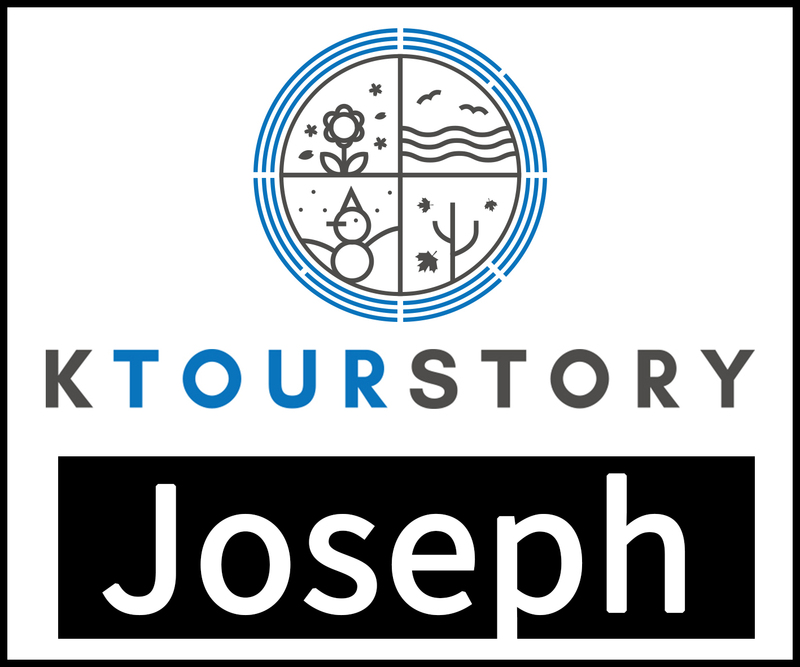 Being a reliable tour guide, Jones was passionate in his role and took great care of us. 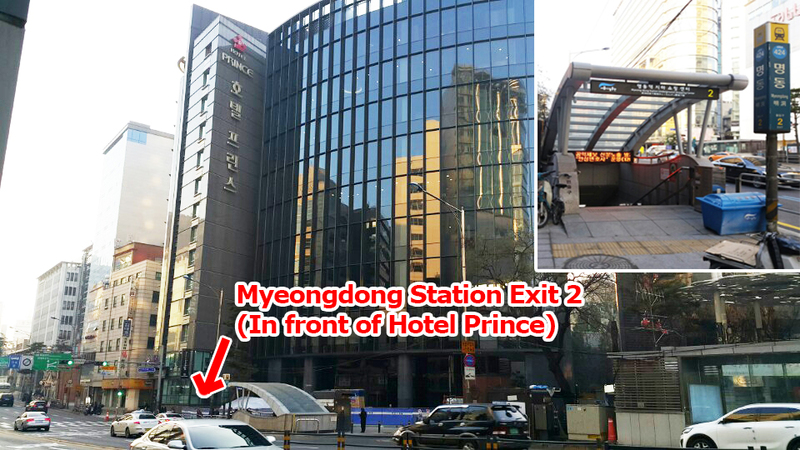 He was able to communicated good English and share highlights of the historical sites of Mt Seorak & Naksansa Temple. Overall, this trip was definitely a worth to go despite of the changing weather! Great fulfilling day trip with our tour guide, Jones! Being a reliable tour guide, Jones was passionate in his role and took great care of us. He was able to communicated good English and share highlights of the historical sites of Mt Seorak & Naksansa Temple. Overall, this trip was definitely a worth to go despite of the changing weather! It was Eddie again! Who is our tour guide! Very patient and accommodating. After the tour, he even accompanied us to the Myeongdong underground shopping area to look for some KPop CD... regarding the tour itself, it could’ve been better if we went mid October when the autumn leaves are it’s prettiest. Now, it’s entering winter so most of the leaves fell already... Due to lack of time, we were given options on places to go to and turn around time was given also, it could’ve been much better if more signs are placed going to Biryong falls and Yukdam fAlls since we were only able to reach one only to find out that the other falls is just 4 mins away... and going to the first waterfall takes some time also. It was Eddie again! Who is our tour guide! Very patient and accommodating. 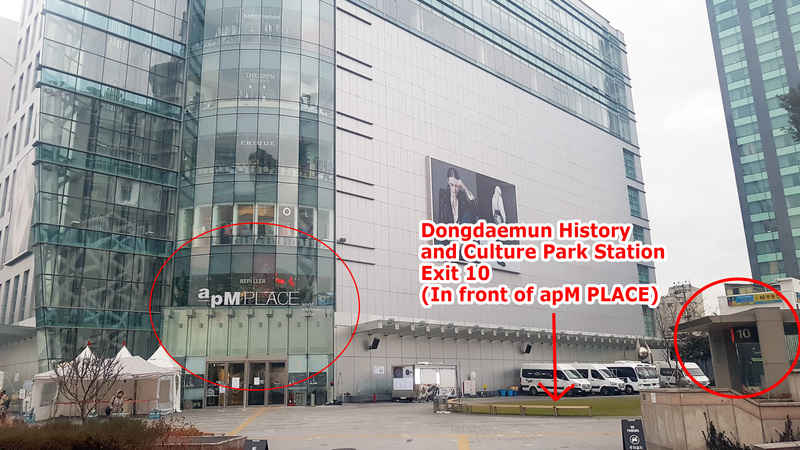 After the tour, he even accompanied us to the Myeongdong underground shopping area to look for some KPop CD... regarding the tour itself, it could’ve been better if we went mid October when the autumn leaves are it’s prettiest. Now, it’s entering winter so most of the leaves fell already... Due to lack of time, we were given options on places to go to and turn around time was given also, it could’ve been much better if more signs are placed going to Biryong falls and Yukdam fAlls since we were only able to reach one only to find out that the other falls is just 4 mins away... and going to the first waterfall takes some time also. It is a great tour if you’re into trail-walking and mountain views. It is a great tour if you’re into trail-walking and mountain views. South Korea is such an amazing and beautiful place. We had ample time to go up and see the majestic snow-capped peaks of Mt. 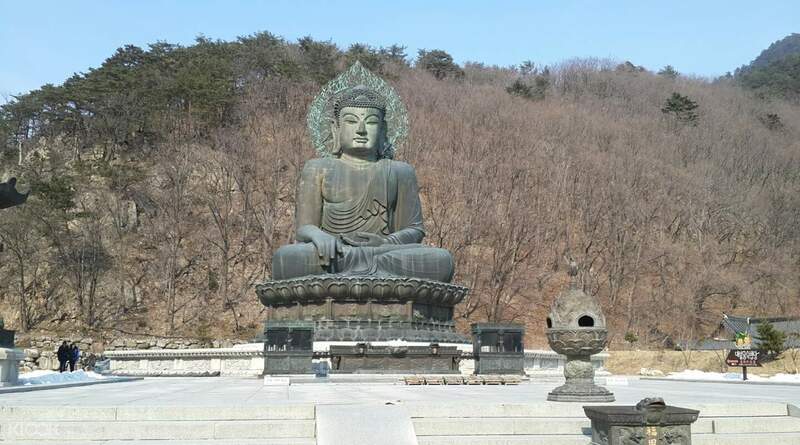 Seorak, the Giant Buddha, and the temples. Naksansa temple is right beside the ocean which adds a certain level of peace and beauty. Our tour guide is very friendly and speaks English well. He really takes good care of everyone. He even gave us tips on where to go and eat around Seoul. Thumbs up to our guide and Ktourstory for this package. Group photo care of our guide Seo. South Korea is such an amazing and beautiful place. We had ample time to go up and see the majestic snow-capped peaks of Mt. Seorak, the Giant Buddha, and the temples. 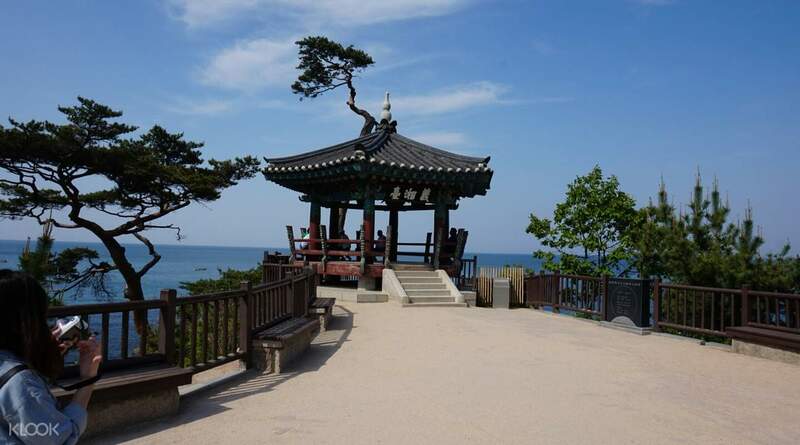 Naksansa temple is right beside the ocean which adds a certain level of peace and beauty. Our tour guide is very friendly and speaks English well. He really takes good care of everyone. He even gave us tips on where to go and eat around Seoul. Thumbs up to our guide and Ktourstory for this package. Group photo care of our guide Seo.